There are currently 158 members of the ISC from 27 countries on all continents. Commercial Mediator; Principal, JPMeyer Associates; Fellow, the International Academy of Mediators and the American College of Civil Trial Mediators; Settlement Judge Pro Tem for the Commercial Court of Philadelphia; Member of the mediator panels of AAA Mediation, Construction Dispute Resolution Systems, US-China Business Mediation Center and CPR Institute; Haverford, PA. Mediator, engineer, jurist, first president of the Romanian Mediation Centers Union and vice-president of the first Mediation Council, founding member and manager of Craiova Mediation Center, Romania. Independent international Arbitrator, Mediator, Consultant, Trainer and Principal at Appel Dispute Resolution. Mark is the Chair of the IMI Investor State Mediation Task Force. Lawyer, Teacher, Mediator and organizational developer, founder of Convirgente, President of Instituto de Certificação e Formação de Mediadores Lusófonos. Based in Malaysia, Ana is working in major Portuguese-speaking countries. Ana is the Chair of the IMI Online Dispute Resolution Task Force. Chair of Resolution Institute (also known as LEADR & IAMA); Member of ADRAC (Australian Dispute Resolution Advisory Council); Member of Executive Committee EMAN (Elder Mediation Australasian Network); Mentor in ‘So You Want To Be A Leader?’; Founding Member of International Advisory Board if Afghanistan Centre for Commercial Dispute Resolution. Representative of the Swiss Chamber of Commercial Mediation (Section Romande) (SCCM), Geneva; Jeremy is a member of the Executive Committee of the IMI Joint International Task Force on Mixed Mode Dispute Resolution and Coordinator of the IMI Global Pound Conference Series 2016-2017. Director of Training, Centre for Effective Dispute Resolution (CEDR). James is a Chair of the IMI ISC Task Force on Standards for Training Programs and Competency Criteria for Assessors and Trainers. Professor of Law, Thomas Jefferson School of Law, San Diego; Author and Editor, Mediation Ethics - Cases & Commentaries, 2011. Ellen is a Chair of the IMI ISC Ethics Committee. Abramson, Prof. Harold (Hal); Professor of Law, Touro College Jacob D. Fuchberg Law Center; Author, Mediation Representation – Advocating as a Problem-Solver (in any country or culture). Member of IMI Mediation Advocacy Taskforce and Inter-Cultural Task Force. Alberstein, Michal; SJD Harvard University; LLB, BA, Tel-Aviv University; associate professor at The Faculty of Law, Bar-Ilan University, Israel, member of IMI ethics Committee. Beng, Prof. Joel Lee Tye; Faculty of Law, National University of Singapore. Member of IMI Inter-Cultural Task Force. Brown, Colin; Legal Officer, Directorate General for Trade, European Commission (Brssels, BE). Member of the IMI Investor-State Mediation Task Force. Brown, Kevin; President, Mediation International - Spain; QAP Manager. Member of IMI ODR Task Force. Spain. Carter, Jessica; Mediation Specialist - New Zealand. Jessica Carter is a conflict resolution specialist, mediator, coach and trainer. Member of IMI ODR Task Force. 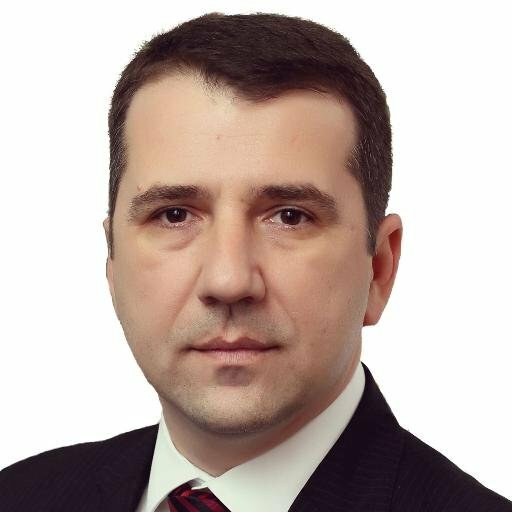 Chereji, Christian-Radu; Founder of Transylvanian Institute of Mediation, lead trainer and national assessor of mediators, member of the Mediation Council National Consultative Committee, Romania. Member of IMI Appraisal Committee. Coe Jr., Jack J.; Professor of Law, Pepperdine University, Malibu, FL, USA. Member of the IMI Investor-State Mediation Task Force. Comvalius, Pascal; Mediator, Erickson Mediation Institute, board member at the Academy of Professional Family Mediators (APFM), QAP manager, USA. Pascal is Co-Chair of the IMI Appraisal Committee. Constain, Silvia; Fellow, Weatherhead School of International Relations, Harvard University (Cambridge, MA, USA) Member of the IMI Investor-State Mediation Task Force. Cooper, Scott; VP for Policy and Government Relations at the American National Standards Institute (ANSI). USA. Member of IMI ODR Task Force. Daly, Conrad; Consultant at the World Bank and Counsel at GRC Counsel LLP. Secretary of the IMI Investor-State Mediation Task Force. Duell, Kitty; Mediator, Trainer, Coach - The Netherlands. Member of IMI ODR Task Force. Echandi, Roberto; Lead Private Sector Specialist, Trade and Competitiveness Global Practise, IFC World Bank Group (Washington, DC, USA) Member of the IMI Investor-State Mediation Task Force. Fraser, Veronique; Professor, Faculty of Law, University of Sherbrooke - Canada. Member of Joint International Taskforce on Mixed Mode Dispute Resolution. Fry, Jason; Partner and global Co-Head of the International Arbitration Group, Clifford Chance (Paris, FR). Member of the IMI Investor-State Mediation Task Force. Gibson, Andrew; Founder, Beyond Conflict, Mediator, Trainer. QAP manager, Ireland. IMI Appraisal Committee member. Gmurzynska, Ewa; Director, Center for American Law Studies at Warsaw University (program of University of Florida); Co-director and lecturer, Center for Amicable Dispute Resolution at Warsaw University Faculty of Law; Vice President, Council for ADR Dispute and Conflict Resoltution at the Polish Ministry of Justice; Mediator; Warsaw. Member of IMI Mediation Advocacy Task Force. Goh, Aloysius; Managing Director of Peacemakers Consulting, Teacher, NUS Law School, Associate Mediator, Singapore Mediation Centre and Primary Dispute Resolution Centre, Singapore. Member of IMI Appraisal Committee. Golann, Prof. Dwight; Professor of Law, Suffolk University Law School. Boston. Gramatikov, Martin; Head of Measurement & Evaluation, The Hague Institute for the Internationalisation of the Law, Bulgaria/NL. Member of IMI ODR Task Force. Groot, Gigi de; Founding member, the Dutch Chamber of Commerce in Sweden; Stockholm. Member of IMI Inter-Cultural Task Force. Holland,Jo; Director, Small Claims Mediation - UK. Member of IMI ODR Task Force. Honeyman, Christopher; Mediator; Co-Editor of The Negotiator's Fieldbook; Managing Partner, Convenor Conflict Management; Madison, WI & Washington, DC. Katsh, Ethan; Director, National Center for Technology and Dispute Resolution - US. Member of the IMI ISC ODR Task Force. Khalifa, Fatma; Counsellor, Foreign Disputes Department, Egyptian State Lawsuit Authority. Member of the IMI Investor-State Mediation Task Force. Cairo, Egypt. Kollonhof-Bruning, May-Britt; Co-Founder/Director, Juripax - NL. Member of IMI ODR Task Force. Kresal, Katarina; Founder, ECDR - Slovenia. Member of IMI ODR Task Force. Legume, Barton; Partner, Dentons, and head of the firm's investment treaty arbitration practice with a focus representing companies in international investment arbitrations. Former Chief of the NAFTA Arbitration Division at the US State Department. Chair of the ABA Section of International Law. Former co-Chair of the IBA State Mediation Sub-Committee that prepared the 2012 IBA Rules for Investor-State Mediation; Paris. Member of IMI Investor-State Mediation Task Force. Lichtenstein, Michael (Micky); Mediator and Neuropsychologist, Chief Consultant and Supervisor, Court Administration ADR program, Former Director of training and professional development, National Center of Conflict Resolution, Ministry of Justice, Israel. Member of the IMI Appraisal Committee. Limbury, Alan; International Mediator. Managing Director, Strategic Resolution, Sydney. Chair (2008 to 2010) of the Practice and Standards Committee of the Chartered Institute of Arbitrators and member of the Institute's Board of Management; Adjunct Professor (2009-2010) lecturing in Mediation of Commercial Disputes (postgraduate) University of Sydney; Chair of the Complaints Panel of the Australian Self-Medication Industry; former Chair of LEADR and of the Law Council of Australia's Dispute Resolution Committee. Lind, Michael; Chairman of LawStrategy, former managing director of ADR Group; leader of the innovative projects with the Royal Institution of Chartered Surveyors and the Institute of Charted Accountants in England and Wales, former President of the Bristol Law Society; UK. Member of the IMI ODR Task Force. Loebl, Zbynek; CEO, Youstice – Czech Republic/Slovakia. Member of IMI ODR Task Force. Macduff, Ian; Practice Associate Professor and Director, Centre for Dispute Resolution, School of Law, Singapore Management University. Member of IMI Appraisal Committee. Magnusson, Annette; Secretary General, Arbitration Institute the Stockholm Chamber of Commerce (Stockholm, SE). Member of the IMI Investor-State Mediation Task Force. Mangklatanakul, Vilawan; Director, Treaty Section, Ministry of Foreign Affairs of Thailand (Bangkok, TH)Member of the IMI Investor-State Mediation Task Force. Masaglia, Antonia; Mediator - Chamber of Arbitration of Milan, Author, Italy. Member of IMI Appraisal Committee. Mason, Paul E.; International Counsel, Arbitrator and Mediator, Brazil. Member of IMI Appraisal Committee. McCormick, Khory; Partner, Minter Ellison, Arbitrator, Court Accredited Mediator, CIArb Fellow, Adjunct Professor at Griffiths University, Australia. Member of IMI Mediation Advocacy Task Force. Melamed, Jim; Co-Founder/Director, Mediate.com - US. Member of IMI ODR Task Force. Menkel-Meadow, Prof. Carrie; Professor of Dispute Resolution & Civil Procedure, Georgetown University Law Center; Washington DC. Mills, Karen; Karim Syah Law Firm (Jakarta, ID) Member of the IMI Investor-State Mediation Task Force. Mohammed, Sim Khadijah; Rajah & Tann LLP, Associate Mediator (SMC) and mediation trainer, Panel of Associate Mediators of the Subordinate Courts of Singapore. Member of the IMI Mediation Advocacy Task Force. Morek, Rafal; Adjunct Professor, University of Warsaw - Poland. Member of IMI ODR Task Force. Nešić, Miryana; The sudden death was announced in Australia on April 17, 2011 of Miryana Nešić, a leading international mediation educator, trainer, skills assessor, author, thinker and practitioner. Neto , Henrique Gomm; Lecturer, Business Law, Parana Federal University, Brazil. Member of IMI Appraisal Committee. Nitschke, Frauke; Senior Counsel, ICSID World Bank Group (Washington DC, USA) Member of the IMI ISC Investor-State Mediation Task Force. Nobrega, Virginie Martins de; Lawyer, Mediator, Facilitator Practitioner, International Consultant, France. Member of IMI Appraisal Committee. Obadia, Eloise; Partner, Derains & Gharavi International (Washington, DC, USA). Member of the IMI ISC Investor-State Mediation Task Force. Oddy, Alexander; Partner, dispute resolution, and Head of ADR, Herbert Smith LLP; London. Member of the IMI Mediation Advocacy Task Force. Paisley, Kathleen; Partner, AMBOS NBGO - Brussels. Member of Joint International Taskforce on Mixed Mode Dispute Resolution. Papadogeorgaki, Nana; Lawyer, Mediator and Accredited Trainer of Mediators, based in Athens. Member of IMI Appraisal Committee. Paull, Ross; CEO, Guided Resolution, Australia. Member of IMI ODR Task Force. Rainey, Daniel; U.S. National Mediation Board, Professor, Southern Methodist and Creighton University. Member of IMI ODR Task Force. Raouf, Mohamed Abdel; Director, Cairo Regional Arbitration Centre for International Commercial Arbitration – (Cairo, EG) Member of the IMI Investor-State Mediation Task Force. Romero, Eduardo Silva; Partner & Co-Chair of International Arbitration global practise, Dechert (Paris, FR). Member of the IMI Investor-State Mediation Task Force. Ross, Graham; Modria - UK/US. Member of IMI ODR Task Force. Schonewille, Manon; Author, Toolkit Series; Executive Director, ACB Group; Director of the ADR Centre for Business Foundation; The Hague. Member of the IMI Appraisal Committee. Scouller, Bill; Director, Cloudtec - UK. Member of IMI ODR Task Force. Sebah, Yasmin; Law Lecturer, Bahrain Polytechnic. IMI of IMI Appraisal Committee. Serpa, Nazareth; Specialist in educational aspects of mediation and ADR, Brazil. Member of IMI Appraisal Committee. Sharpe, Jeremy; Former Chief of Investment Arbitration, Office of the Legal Adviser, U.S. Department of State (Washington, DC, USA) Member of the IMI Investor-State Mediation Task Force. Shivkumar, Aditya; Advocate, Co-Founder, Mediateitonline - India. Member of IMI ODR Task Force. Stevens, Margrete; Consultant, International Arbitration Practise Group, King and Spalding (Washington, DC, USA). Member of the IMI Investor-State Mediation Task Force. Stipanowich, Thomas; Professor of Law, Pepperdine University School of Law - US. Member of Joint International Taskforce on Mixed Mode Dispute Resolution. Tilman, Vincent; Senior Advisor, Eurochambres - Belgium. Member of IMI ODR Task Force. Triantafyllou, Dimitra K.; IMI Advocacy Taskforce, international mediator, ADR neutral and deal facilitator, trainer, practising Lawyer, JAMS Foundation Weinstein International Fellow 2011, Greece. Member of IMI Appraisal Committee and Mediation Advocacy Task Force. Tümpel, Hannah F.; Senior Counsel and Manager, International Centre for ADR, International Chamber of Commerce, Paris. Member of IMI Inter-Cultural Task Force and IMI Investor-State Mediation Task Force. Verghese, Karinya; Associate Regional Director of Dispute Resolution, FINRA. Member of Joint International Taskforce on Mixed Mode Dispute Resolution. Wahab, Mohamed S. Abdel; Professor, Cairo University - Egypt. Member of IMI ODR Task Force. Walker, Mary; Barrister; Mediator; Chair, Law Council of Australia ADR Committee, Sydney. Member of IMI Appraisal Committee. Walker, James; Founder, Resolver - UK. Member of IMI ODR Task Force. Walter, André von; Legal Officer, Directorate General for Trade, European Commission (Brussels, BE). Member of the IMI Investor-State Mediation Task Force. Wing, Leah; Director, Legal Studies Program, University of Massachusetts - US. Member of IMI ODR Task Force. The Executive Director Irena Vanenkova and the Operations Manager, Emma Ewart. Irena Vanenkova is Executive Director of the International Mediation Institute (IMI). Irena is a CEDR-Accredited mediator (1998) as well as holder of the MATA advanced mediation certificate. Irena holds the English Tutor Diploma of The Linguistic University in Moscow (1983), a Bachelor of Economics at the Moscow Institute of Business Studies (1997), and a Diploma in Public Relations Management at the Moscow State University (2001). Irena’s prior career included positions as Commercial Projects Manager – Russia of International Distillers & Vintners Limited (1992-97), Deputy Chief Representative – Russia of CDR International (1997-98), and Public Relations Manager of IKEA Russia (1999-2006). Irena is a Russian citizen. Irena serves as a Board Member of the Singapore International Mediation Institute (SIMI) and as a member of the international Advisory Board of Conflict Studies Quarterly. Emma Ewart is Operations Manager of IMI. Emma came to IMI having been Executive Assistant to the Chief Executive and Commercial Director, and General Office Manager of Resolex, a London-based dispute resolution institution. Prior to Resolex, Emma was the Personal Assistant to London-based Barrister Andrew Burr, at the time Chairman of the European Branch of the Chartered Institute of Arbitrators and Editor of the Construction Law Journal. Emma is based in New Zealand.